Speed up on the speed slope at Cianross. 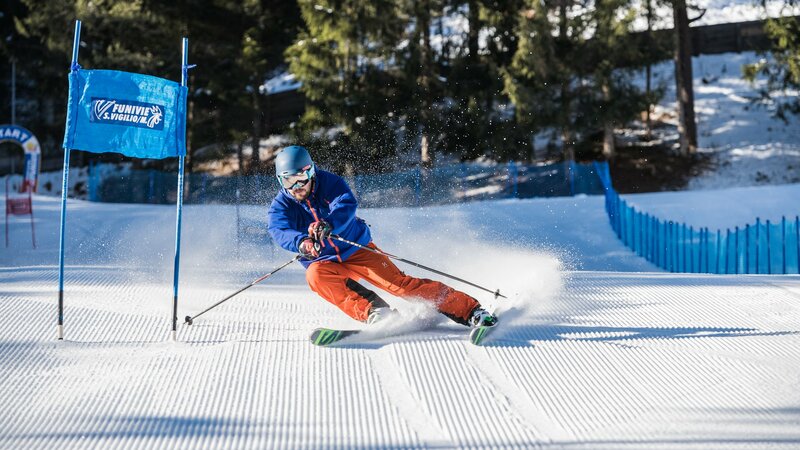 The specially delimited and groomed speed check slope is equipped with a permanent speedometer. A look at the timetable tells you your personal speed. Free of charge!